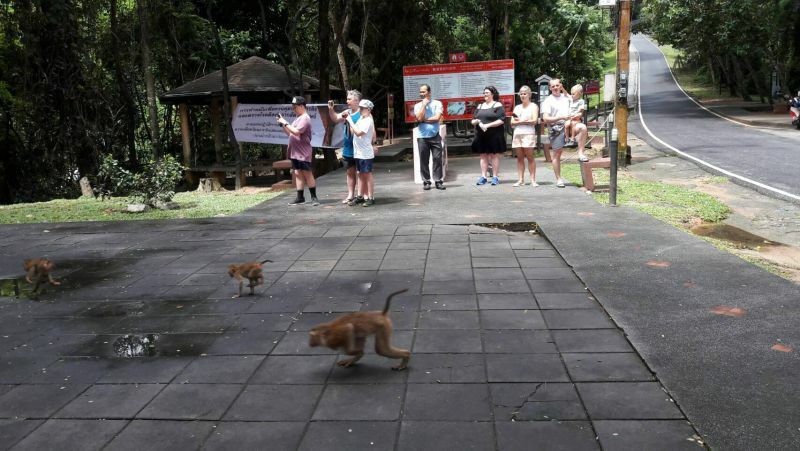 Speaking to The Phuket News’ Thai-language sister paper Khao Phuket today (Sept 17) Director of the Khao Phra Thaew Natural and Wildlife Education Centre, Pongchart Chouehorm, said that 129 monkeys were caught on day one of the round up (Sept 13), 20 on day two (Sept 14), 49 on day three (Sept 15) and 25 on day four. 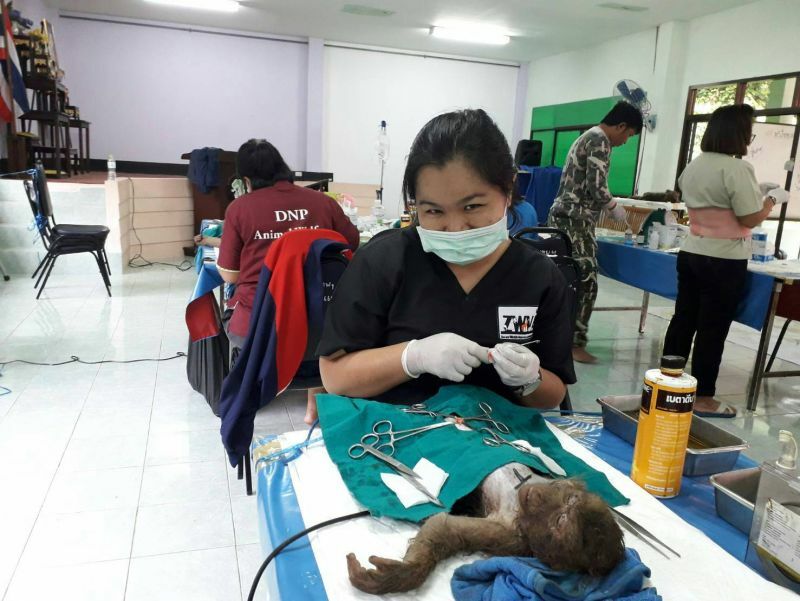 “On Sept 14 we sterilised 58 monkey, the following day we sterilised 49 and yesterday (Sept 16) we sterilised 55,” Mr Pongchart said. 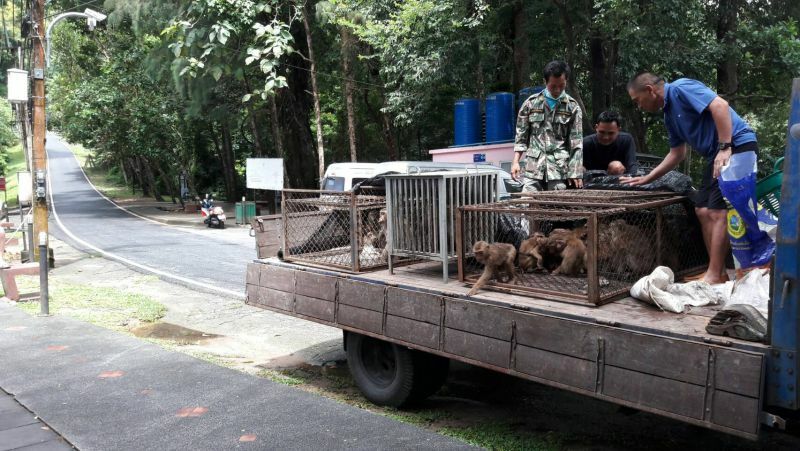 “Of the monkeys caught, six could not be sterilised as they were not of reproductive age. 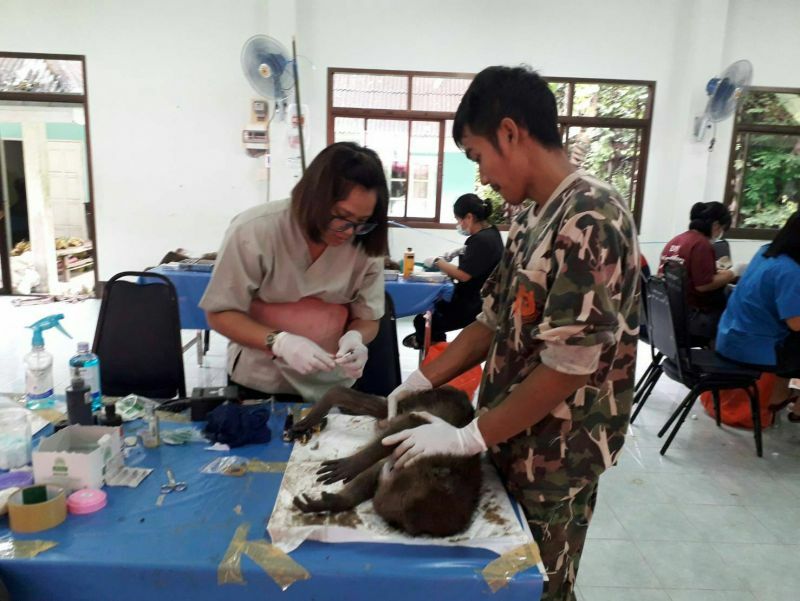 “The remaining 55 monkeys will be sterilised in the coming days,” he added. 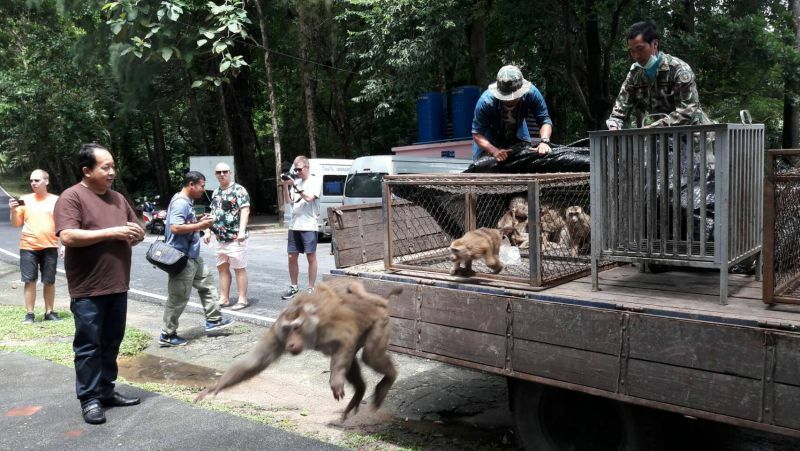 Of the 229 monkeys caught, as of yesterday 128 had been re-released into the wild. 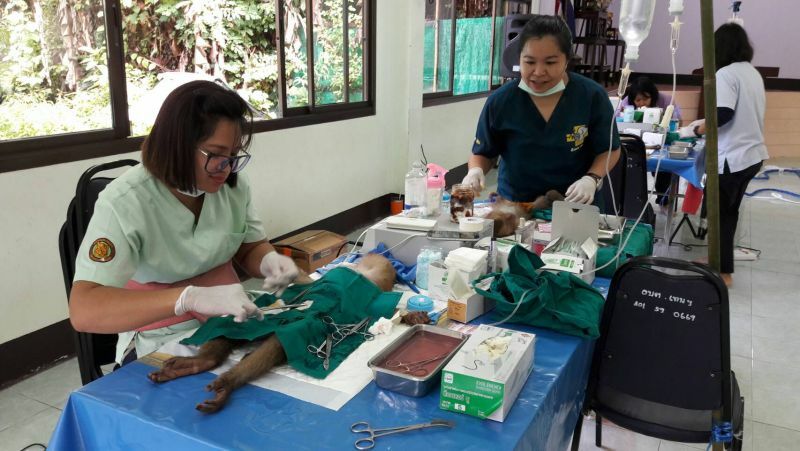 I understand that it are private institutions like Soi Dog Foundation ( running on donations) doing dog sterilizations. 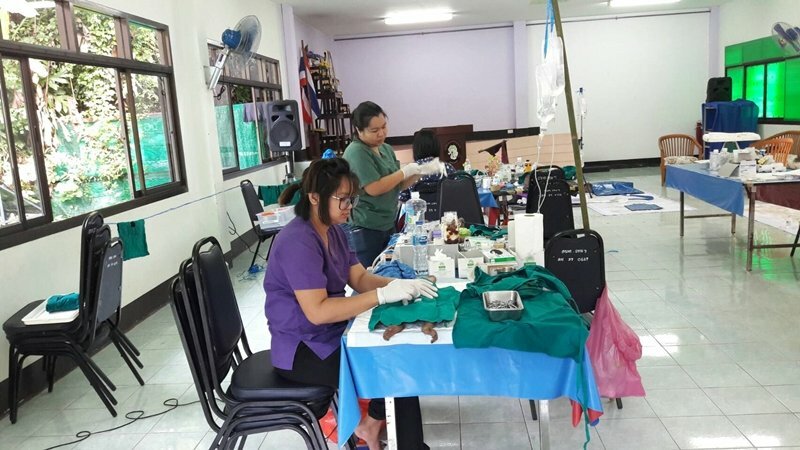 The Health Dept of Phuket not take the responsibility for that, it remains silent as a mouse. 'Saving' their budget for such a population health care program they not do. What Provincial Hall does with that money? Where it goes? 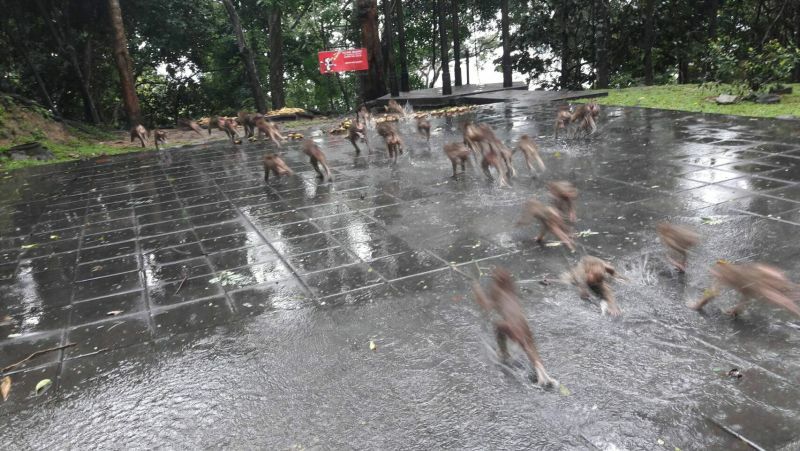 Why cannot this be done with the stray dogs of PSU campus?